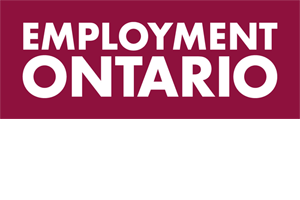 – Employment Services offers a range of services and resources to respond to the career and employment needs of individuals and the labour needs of employers. – The program consists of 5 components which can be accessed in a flexible and interactive style. – Upon registering for the Employment Services program an individual will receive a comprehensive service assessment; this allows staff to make consistent and efficient decisions about how best to assist the individual. – The Resource Centre is available to everyone and is designed to be a comfortable environment in which to do labour market research i/e job searching, interviewing, training, education. – The more in depth components include one to one assistance from an Employment Counsellor; job searching, matching and incentives, mentoring and coaching. – Employer participation is critical to the success of the program. The team works to engage employers in on site activities, hiring and training our job seekers and promoting job maintenance. – Employers can post jobs within the centre, hold job fairs, conduct on site information sessions and interviews.